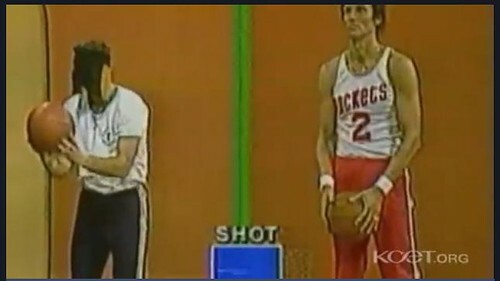 As we ponder perspective, we might recall that it was on this date in 1980, on the TV series That’s Incredible, that Cal Tech graduate Fred Newman dueled at the free throw line with the NBA’s all-time best free throw shooter, Rick Barry. Barry won the contest, but Newman sank 88 straight– while blindfolded. Read more about Fred here; see the video from which the frame above is excerpted here.